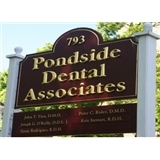 Pondside Dental Associates (Jamaica Plain) - Book Appointment Online! It was great. I learned a lot about dental hygiene and preventative care. I will certainly be going back.